The Victorian Government will be offering marine aquaculture sites within seven aquaculture fisheries reserves across Port Phillip Bay and Western Port in 2017. The sites are expected to create opportunities for substantial new investment in marine aquaculture and a significant increase in shellfish production. The opportunity includes 41 secure Crown lease sites, totalling 440 hectares, all having a history of proven commercial shellfish production. 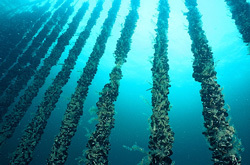 Investors are invited to apply for the new marine aquaculture sites through a tender process. Successful investors will be awarded long-term registered Crown land leases for 21 years and aquaculture licences. 1 May 2017: Tender open for lodgement and registered investors notified by email. 3 July 2017: Tender closes. Submissions evaluated. July - August 2017: Tenderers notified of result. To view advanced tender information and receive email notification of tender opening register at the Tenders VIC website. Why invest in Port Phillip Bay and Western Port? 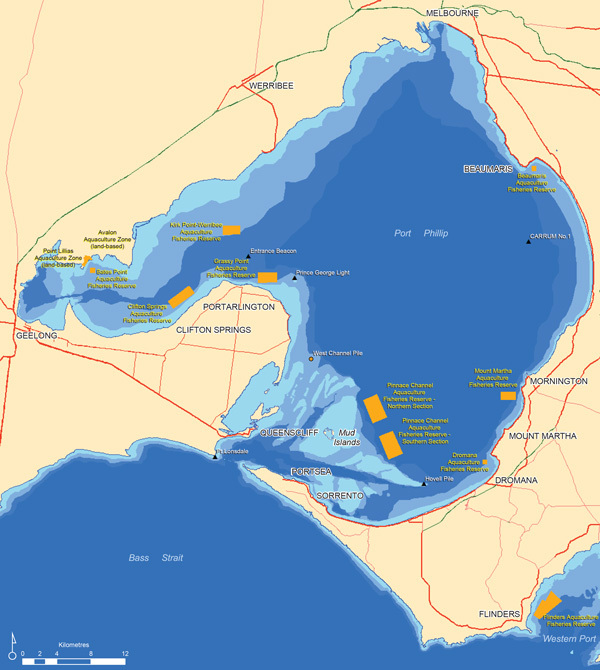 Port Phillip Bay and Western Port are the homes of shellfish aquaculture in Victoria. The industry has been established for over three decades and has a proven track record of producing premium quality seafood. Worldwide, these two waters are renowned for blue mussels and abalone. There are already a number of successful operations in both waters and in 2014/15 the Victorian mussel aquaculture industry produced 1,014 tonnes of mussels, worth over $3 million. 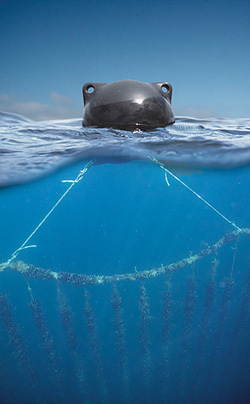 Today, it is one of the largest mussel production areas in Australia with considerable scope to expand. best practice commitment to maintaining environmental standards. Victoria is one of few places in Australia that has areas of water available of this quality and size, which are close to markets, employment and infrastructure. Victoria, Australia, boasts some of the world's finest and most sought after seafood. It has an excellent reputation, both domestically and internationally, based on its reliable supply of quality produce for over 150 years, clean waterways and developed infrastructure. With more than 30 years of history, aquaculture is poised for growth as one of the most innovative and prominent growth industries in Victoria. The bivalve shellfish sector (mainly mussels) is expected to increase substantially with access to new sites in marine waters. 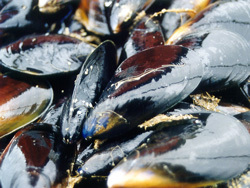 At present the mussel industry is utilising 469 ha of water in Port Phillip Bay and Western Port. Production from the abalone sector has been steadily increasing and is continuing to grow rapidly as existing facilities expand. Private sector investment in Victorian aquaculture today is estimated at more than $150 million and includes world-class examples of coastal abalone, offshore shellfish and freshwater finfish production facilities. The Victorian Fisheries Authority (VFA) is the lead agency implementing Government policy on aquaculture development in Victoria. Under the Fisheries Act 1995, VFA manages the aquaculture industry in accordance with prescribed management plans. or call (03) 5258 0218.